THE NIGHT JOGGERS were out as usual. The young man could see dim figures on the track even in this pale light, slowly pounding round and round the most infinite of footpaths. There would be, he knew, plump, determined-looking women slogging along while fleshy knees quivered. They would occasionally brush damp hair fiercely from their eyes and dream of certain cruel and smiling emcees: bikinis, ribbon-cuttings, and the like. And then, of course, tennis with white-toothed males, wild tangos in the moonlight. And men too of various ages and levels of dilapidation, perhaps also grinding out secret fantasies (did they picture themselves a Peter Snell held back only by fat or fear as they turned their ninety-second quarters?). The young man stood outside the fence for a few moments while moths attacked the streetlight dustily, leaving him in a dim spotlight of swirling shadows. He loved early fall in Florida’s Panhandle. Leaves would be turning elsewhere but here the hot breath of summer held forth. In the moist warmth there was a slight edge, though, a faint promise of cooler air hanging in the treetops and close to the Spanish moss. He picked up his small travel bag and went in the gate, walking clockwise on the track toward the white starting post at the head of the first turn. The joggers ignored the stranger in street clothes and he likewise paid them no attention. They would always be there. The high-jump pit had been rearranged, a new section of bleachers added, a water jump installed for the steeplechase. But mostly it looked the same as it did four years ago, the same as a four-hundred-and-forty-yard oval probably will always look to one who knows a quarter of a mile by the inches. The Games were over for this time around. He knew quite well that for him they were over for good. Four years is a very long time in some circles; in actual time—real-world time, as that of shopkeepers, insurance sellers, compounders of interest, and so on—it is perhaps not long at all. But in his own mind Time reposed in peculiar receptacles; to him the passing of one minute took on all manner of rare meaning. A minute was one fourth of a four-minute mile, a coffee spoon of his days and ways. As with many of the others, he had no idea what he would be doing now that it was all over. It was such a demanding thing, so final, so cathartic, that most of them simply never thought beyond it. They were scattered around the world now, he supposed, doing pretty much what he was doing at this moment: thinking everything over, tallying gains and losses. He was going to have to pick up the thread of a normal life again and although he did not exactly know why, he had to start by coming back here, back to the greenhouse warmth of the Panhandle, back to this very quarter-mile oval that still held his long-dried sweat. Back to September, the month of promises. He put his bag down by the pole-vault pit, looked uptrack to make sure no one was coming, and then walked up to the starting line. God, he thought, one more time on the line. In lane one he stood very still, looking down at his street shoes (joggers now going around him with curious glances) and tried to conjure up the feeling. After a moment a trace of it came to him and he knew that was all there would be. You can remember it, he told himself, but you cannot experience it again like this. You have to be satisfied with the shadows. Then he thought about how it was in the second and third laps and decided that the shadows were sometimes quite enough. He was twenty-six years, five months, and two days old, and though as he stood there on the starting line he felt quite a bit older than that, the muscles that rippled up and down inside his trouser leg could have only been the result, biologically speaking, of more thousands of miles than he cared to think about all at one time. He tried to focus blurred emotions, a metaphysical photographer zeroing in on hard edges to align in the center square. What was this he was feeling now, nostalgia? Regret? His mind double-clutched, asked the musical question: Am…I…buhloooo? He could not tell. He realized again how adept he had become at not being able to tell such things. His emotions had calluses like feet. This reading group guide for Once a Runner includes an introduction, discussion questions, and ideas for enhancing your book club. The suggested questions are intended to help your reading group find new and interesting angles and topics for your discussion. We hope that these ideas will enrich your conversation and increase your enjoyment of the book. A classic novel and a particular favorite among runners and track teams, Once a Runner is the story of Quenton Cassidy, a collegiate runner who specializes in the mile. When Quenton becomes involved with a petition protesting the athletic department's dress and conduct code, he is suspended from the track team and prohibited from competing in the university's annual track meet. Following the advice of his Olympian mentor, Bruce Denton, Quenton give up his scholarship, his girlfriend and perhaps his future by taking a monastic retreat in the countryside to train. The seclusion and regimen brings Quenton to the very brink of his physical and mental capacities, but it all seems worth it when Denton suggests a plan that could allow him to compete against the best miler in the world. As a man who actually lived and trained with gold medalists and world record holders, John L. Parker presents a rare, insider's glimpse at the incredibly intense lives of elite distance runners. 1.) "Time reposed in peculiar receptacles; to him the passing of one minute took on all manner of rare meaning" (2). Discuss the theme of subjective time that pervades the novel. How does Quenton manipulate his own conceptions of time in order to master the psychological aspects of training and competing? 2.) The story of "Sidecar Doobey" provides an example of someone whose life took unexpected turns and left unexpected legacies. How does this anecdote inform the overall arch of Quenton's journey? 3.) There are many animal metaphors scattered throughout the novel, along with a deep sense of the earthly history of the act of running. How does this instinctual component of the sport mix with Quenton's pure will and determination? Does his humanness, emotions and intelligence add to or subtract from his pursuits? 4.) The narrator suggests that Jerry Mizner's obsessive-compulsive personality meant that "his mind adapted well to the distance runner's daily toil" while Quenton's spontaneity meant that he must "painfully teach himself the... mentality of a dedicated runner" (29). How does the discussion of nature versus nurture evolve in this context? Do you think Jerry would have needed the disciplinarian environment of a retreat to progress like Quenton? 5.) Quenton is clearly an intelligent student devoted to law and reason. How does this trait clash with the fact that he cannot give a solid justification for his complete dedication to running? 6.) How do the playful dynamics of the team provide a release for the athletes? What does Quenton lose when he leaves it all behind? What does he gain? 7.) Andrea's relationship with Quenton provides an example of an outsider to the running world sincerely trying to understand it. "And suddenly she had seen him from a different perspective: he too looked intimidating. And something very deep inside her stirred as she realized that she was, after all, frightened for him, for this task he had taken upon himself" (265). What has Andrea suddenly understood from this new perspective? Why does it make her frightened? 8.) What is the significance of Quenton's childhood encounter with death? During his recovery he tells his father he saw a bull shark in the water, "When he saw me he acted like he didn't care but he moved over a little to let me pass by. I was so ferocious with my sling, Dad, I wasn't afraid. I laughed because he was going so far in and I knew the hunting was better out near the tip" (190). How did this anecdote make Quenton feel powerful, and how does this feeling of power inform his running? 9.) 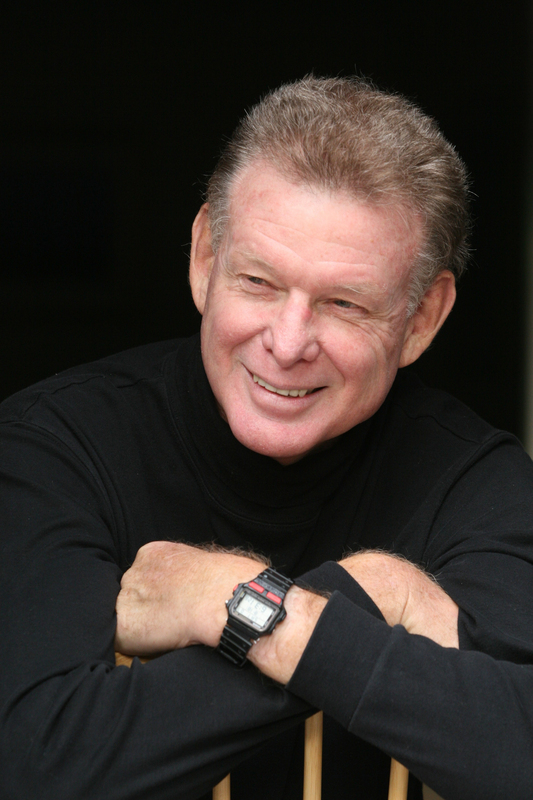 Bruce Denton plays a huge role in Quenton's progress as a runner. It is clear that he uses his own experiences to help Quenton train mentally and physically. In the end, he sees his own sad smile reflected on Quenton's face. Do you think Quenton and Bruce will share the same emotional fate? Why or why not? 10.) The characters of Coach Doobey and Prigman act as stubborn obstacles for Quenton. Despite their best efforts, Quenton still manages to achieve his goals. How does this justify Quenton's decision to isolate himself from such distractions? How does it portray running as a means to rise above life's distractions? 11.) During Bruce's masochistic interval workout, he says, "This is where you find out. This is the time and place. All the rest is window dressing" (222). When Quenton has finished he says, "It is a very hard thing to have to know" (226). What has he found out? Why is it so difficult to know? 12.) When Quenton remembers Allan, the little boy he encountered while racing, he wonders "what it was about that one" (253), the same thought his own father had about him. What about this child do you think touched Quenton so deeply? How does the fact that the boy was clearly disabled and yet was still able to partially mirror Quenton play into the novel? 13.) The final race of this novel provides an extreme climax to Quenton's training. Why do you think it took a sign of Walton's vulnerability for Quenton to muster the strength to catch him (266)? How does that relate to the bull shark story mentioned earlier? What motivated him in that last fifty yards? 14.) When Quenton returns a silver medalist, he goes back to the track and finally indicates that "there was a very old gnarled tree somewhere he wanted to find" (272). Earlier in the novel, Quenton mentions the tree while waiting for Andrea and thinks, "What does this old fellow care about it all? The strength of the ancient tree somehow soothed his misery" (195). What does this tree represent for Quenton? What does it say about his future outside of training and outside of distances and times? 1.) 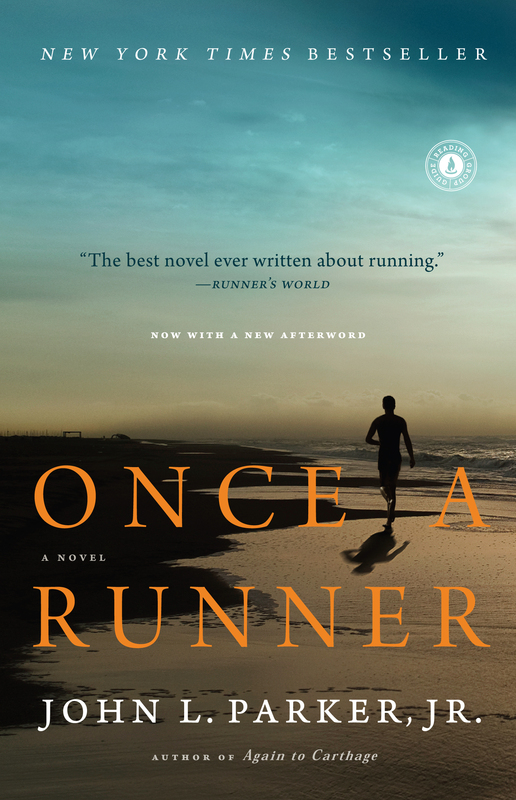 Runner's World offers an open forum for readers of Once a Runner, read their thoughts and add your own!